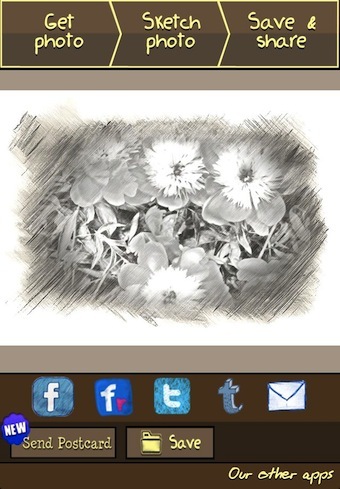 I have had really bad luck with iPhone apps that convert photos to what looks like sketch art. So, the options and output of My Sketch was a pleasant surprise. Currently being Free is nice too! 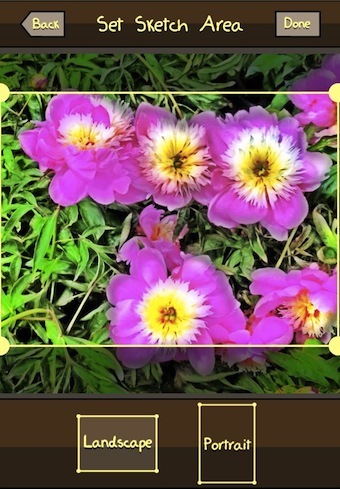 Use the app to take the picture or import from your iPhone photo library. 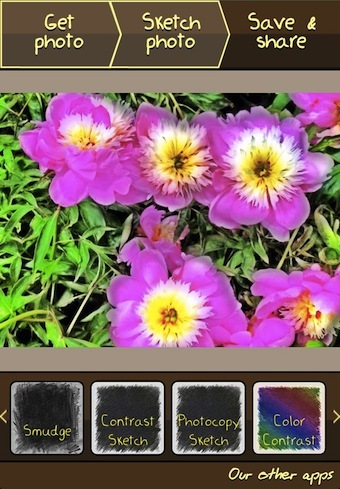 Then crop the image to be landscape or portrait… not square! The output will have different outer edge so you will find you may not get the crop exactly correct for your desired ‘sketch’. Just plan to learn a bit with each use of My Sketch. My Sketch is a Universal app so you can play with your photos on both your iPhone and iPad with a single license. Once you have the photo cropped as you like, My Sketch offers 20 varieties of ‘sketching’ style. Sweep through the list along the bottom of the screen to find one you like. Conversion does take a little time, but you can go back and apply a different sketch filter if you aren’t thrilled with the result. 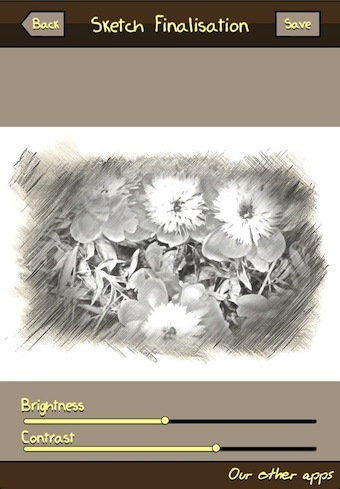 The photo with your chosen ‘sketch’ effect applied can be tuned additionally with sliders for Contrast and Brightness. Your finished My Sketch converted photo can be attached to an email, saved to your iPhone’s photo library or shared over the usual big name social share services. New in this version is to have your final art printed and mailed for a charge. One word of warning, double check what your clicking on as the app likes to keep pushing the option to buy their other offerings.